Steven Gerrard has continued the influx of high praise for Jordan Henderson after his dominant performance in England’s World Cup opener. The Liverpool captain was at his tempo-dictating best as Gareth Southgate’s sole holding midfielder, setting the tone for England’s urgency moving forward. 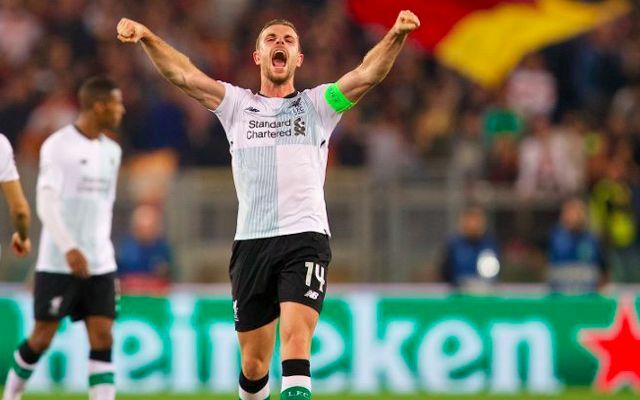 A familiar sight for Reds finally became evident to all Three Lions fans as Henderson flexed his vastly-improved passing range and initiated attacks with incisive connections with his teammates. Henderson started as he intended to go on with an expertly-weighted lofted through ball into the path of Jesse Lingard, who was unlucky not to assist an opening goal with his eventual cross just minutes into the game. A responsible head as his defence’s primary protecting midfielder was glossed by a freedom to break forward and contribute in the final third. Southgate’s decision to start him ahead of Eric Dier was justified throughout, with the tendency at which Henderson switched the play to introduce England’s wing-backs reflecting his value to his team’s system. It was a performance engrained with the traits that have fuelled his growing popularity on Merseyside, from his assured ball retention to an enhanced attacking ambition and the aggression in his ball recovery. His positional-play also proved key in England executing their manager’s desired approach in regards to his cover for the marauding Harry Maguire and Kyle Walker. One game in and his starting spot looks cemented.